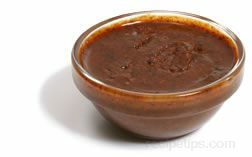 One of the traditional Mexican Mole sauces that is served as a condiment or marinade sauce for poultry, seafood, pork, and vegetable dishes. 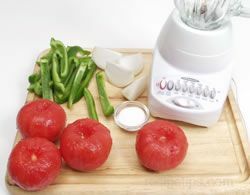 It is a puréed seed sauce consisting of vegetable or soybean oil, onions, pumpkin seeds (pepitas), peanuts, sesame seeds, chile peppers, garlic cloves, and other seasonings. 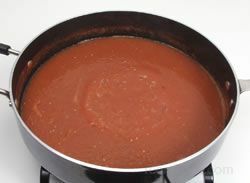 This sauce is known simply as Pipián sauce if is the reddish-brown variety as green Pipián, Pipián verde, or Mole verde, if it is the green sauce. 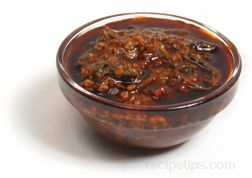 It is not to be confused with the red Mole (Mole Rojo), which is a little spicier and contains red peppers (sometimes sweet chocolate also), while the green variety is made with tomatillos and green peppers. 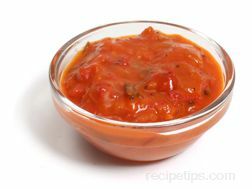 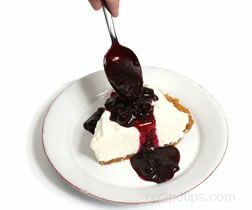 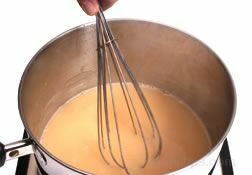 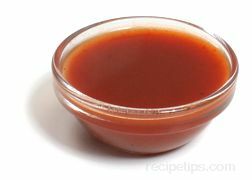 Pipián sauce recipes may vary ingredients, substituting almonds for pumpkin seeds and add more herbs to enhance the flavor.